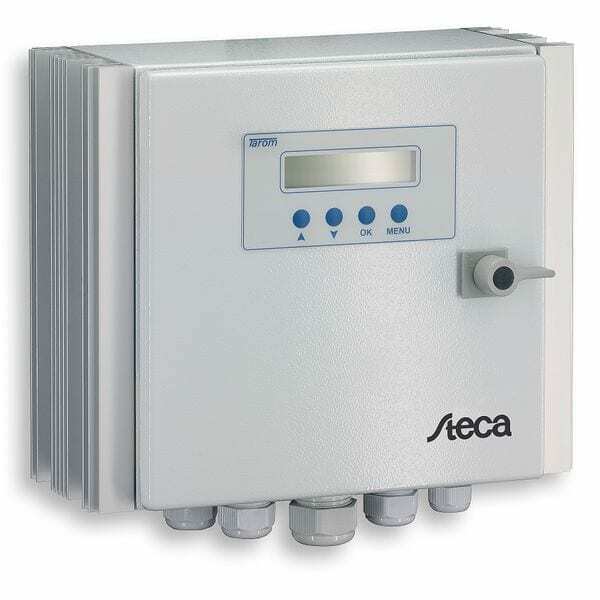 Specially designed for industrial and outdoor applications, the Steca Power Tarom 4055 Solar Charge Controller 48V comes with an IP 65 casing made of powder-coated steel. This solar charge controller is capable of regulating large systems at three voltage levels (12 V, 24 V, 48 V). The Steca Power Tarom is based on the technology of the Steca Tarom controller. When connected in parallel, several controllers from this series can be operated via a standard DC bus in a simple solar home system or a hybrid system. Steca Elektronik GmbH from Germany was founded by Mr Steinle and Mr Casperhas. The company long stood for ideas and innovations as an electronic manufacturing services (EMS) provider and manufacturer of Steca brand product lines in solar electronics and battery charging systems. Our capability and personal responsibility allow us all to create high-quality individual electronic products and to distribute them on a global scale. Simple business processes, fair partnerships and transparent communication are perceptible and contribute to our joint success. Join our ZERO Home Bills Community. BEST Products from the BEST Brands at the BEST Prices available in your market on ZEROhomebills.com delivered by Solaranna.